Discover Cape Cod brings history and travel together in ways that make exploring the Cape a rich, educational experience. From the naming of Martha’s Vineyard to the formation of the National Seashore, this book explores four centuries of history in a collection of 27 short stories with fun activities that bring the Cape’s fascinating past to life. **If you would like your book autographed by the author, please include the specific personalization or names to whom it should be signed in the Order Notes section of the checkout page. Discover Cape Cod brings history and travel together in ways that make exploring Cape Cod a rich, educational experience. From the naming of Martha’s Vineyard to the formation of the National Seashore, this book explores four centuries of colonial, maritime, architectural, and economic history in a collection of 27 short stories. Learn about an English sailor who named many the Cape’s major landmarks and how a humble fruit saved the region from economic depression. Read a story about a legendary pirate’s treasure in Provincetown and discover sites where important “firsts” took place. 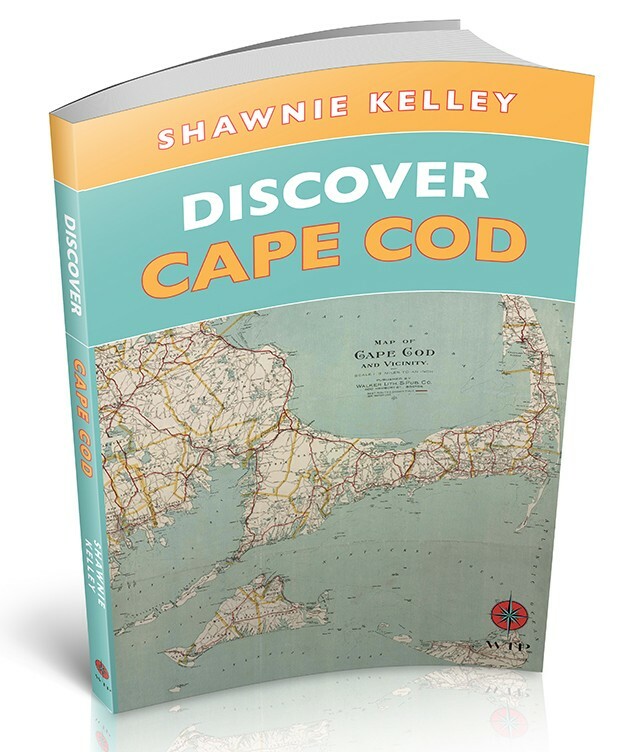 Author, Shawnie Kelley shares her passion for the Cape in a well-researched book of stories and suggestions for how to become immersed in region’s fascinating history. Written in an easy-to-read style, this book is both educational and entertaining, encouraging travelers to actively Discover Cape Cod through its rich historic and cultural offerings.